Menu to choose scene for the current window. Opens a list of default workspaces (this way we can ship Blender with pre-configured workspaces for common workflows, without cluttering the UI with workspaces the user doesn’t need), and the general all-purpose workspace. These should be split into basic and advanced settings. E.g while using the knife tool it would show checkboxes to enable/disable midpoint snap, angle constraints, cut through, etc. Menu to choose the active render layer of the workspace (for this design). Menu to choose the active mode of the workspace. Menu to choose the active screen layout of the workspace. Search button to search operators and properties (improved version of current spacebar search). The search results depend a lot on the context (like the editor and the mode the user is in), but since the search bar should give access to all tools, we need to deal with these context issues somehow. There are some ideas for this but we need to shape them further. In order to save vertical space, we’ll likely get rid of window decorations. Such as Chrome (screenshot below), Photoshop, or many others. Everything else looks very nice and promising. Solid question. Photoshop (and others) keep opened files in tabs, so they put that information there. About the scene input: it looks smaller than it is now. And the one we have now only shows only about ~18 chars. Maybe it can be expanded to take a bit more space? Maybe it can be made to take a certain percentage of space, so if the window is maximized or there are less workspace tabs we can use that space for the scene selector. The search input could also be a button, since the search op has an input built in the popup. Another possible idea: move the + and x buttons into the selection popup. Glad to see this coming together! We planned to move this kind of info to the status-bar, which will also be a global area, this time at the bottom of the screen. 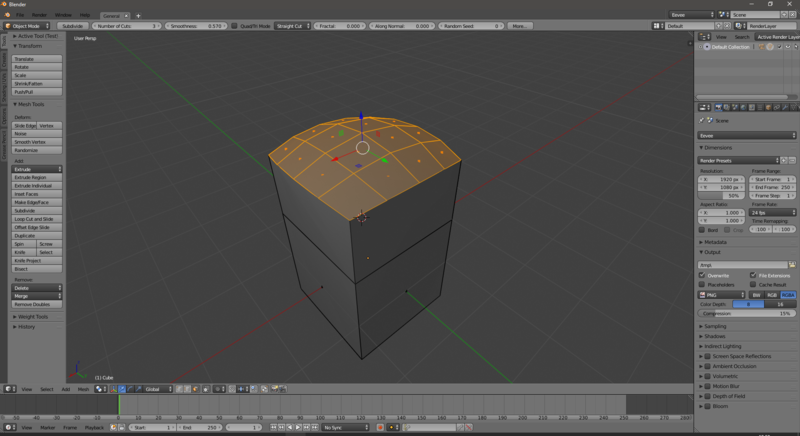 See https://wiki.blender.org/index.php/Dev:2.8/UI/Workshop_Writeup#Status_Bar. The mockup is really just a sketch, I wouldn't take the spacing of elements that serious. We can of course use more width for the button or even make the width calculation smarter. I've talked with users about this before, but they were a bit wary because of the additional click it would need to add or remove a scene/layout/whatever. TBH I think it's worth it considering the saved space though. I'm less concerned about additional click and more about discoverability. From a user point of view I would not mind tucking them away into the popup at all, in fact I would encourage it. I don't mind the additional clicks required, adding or removing Scenes/Layouts/Workspaces should not be that common task that it requires being always visible, I would value much more the saved space and cleaner UI. It would also add the benefit of allowing removing items other the just the current one. Besides, I have found myself unintentionally removing layouts and scenes more often than I'd like to admit with the current setup. Having the remove button so prominent and without a prompt is especially concerning since removing a layout for example is not undooable currently. As for discoverability, the first place a user would click to do anything related to a scene is the scenes popup. The buttons would be there to be found. We've just discussed the idea of moving the '+' and 'x' icons into the menu here in the Bender Institute, and we agreed this is probably a good thing to do. The 'x' would always and only be visible for the active item of the menu, also adding feedback for what the active item is. Pablo is planning to do some mockups for 2.8 related things, he'll also incorporate this idea. Ok, I'll update the mockup (ETA 7 days since I'm away). Add and remove buttons in the menu look good, but I'd ask about those extra buttons for fake user and the number of users of the datablock. What will happen with F and 5 button on the attached screenshot? Are they even relevant with the upcoming changes to how datablocks are managed in Blender? @Matjaž Lamut (lamoot) Workspaces, Screen Layouts and Scenes do not have users. I guess Render Layer will have them (multiple Workspaces can use a single render Layer) yeah - I'll add that to the mockup. @Dalai Felinto (dfelinto) If it's 5 minutes to make it per workspace, please do : ) But I'm guessing it's not, then just ignore the above/below line concept, it's nice for clarity but not that necessary. Also, what do you think about letting operators register their own dropdowns (like the "more" button)? I think it could help organize settings better. The more button could still be auto-added when there isn't enough space for all settings. Vector properties would look like currently in the redo panel, only one per line and limited width. Can't custom dropdowns/popups be added already to redo panel? If not, then sure, that would be good to have. You can make enums into dropdowns and call menus, but not dropdowns with custom layouts like in the mockup. There has been talk of removing the x and + next to scene/screen data blocks, and moving it to a context menu, or inside of the scene/screen browser. Has there been a definitive decision made on this? I'm all in favour, for visual clarity and usability (not being able to delete something that can't be undone so easily! ), and just curious to see where we stand on that. I'd vote for tucking it away in the right-click menu too. Less visual clutter, no accidental deletions, and it could help make the pulldown menus more visually consistent. I'll also mention here what I mentioned at D2758#64985. 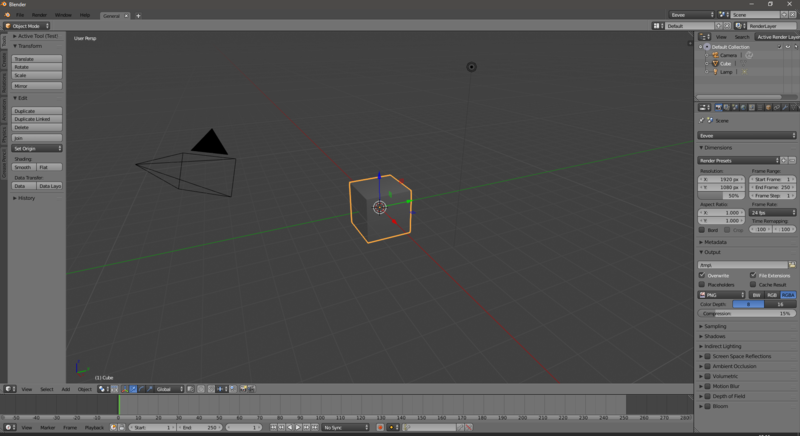 As it currently stands, the menus are organized in a way that reflects what is a per-window setting and what is a per-workspace setting, which makes all sense from a more technical point of view and perfectly reflects the inner workings of Blender. And on the top header next to the tabs if possible keep only the ones that may not fit into the same hierarchy like Render Engine selection and Screen Layout which are transversal to all others. Which would you find more "intuitive"? I think that the Workspaces & Scene Layouts drop-downs should not necessary be that visible. They take a lot of unnecessary space on the bar, especially for users who still work on 1024x768 or 1366x768 resolutions. IMO, a simple button would be enough. I suggest to use the same background-color for all search fields (the light color from the "Open File" window makes more sense, even if I agree, the dark color is nice here). Also, the magnifier icon is misplaced. a simple button would be enough. I like that, maybe the tooltip while hovering the icon could show the name of the current layout (if those don't go away), so one doesn't necessarily have to open the menu. Btw, now that there is a drop-down button to manage workspaces and another one for screen layouts, I think that the later is no longer needed. After all, workspaces already feature an embeded screen layout. The user can simply create a clone of the current workspace if he/she wants an alternative layout. I don't know, maybe I am just thinking out loud but after testing the latest blender-2.80-f2ea8e2-win64.zip daily build, I haven't really found the need to create other screen layouts (especially because workspaces also do the job). The user can simply create a clone of the current workspace if he/she wants an alternative layout. I haven't really found the need to create other screen layouts (especially because workspaces also do the job). I have also voiced this concern before, but I don't think the devs agree. Blender is often criticized for being too complex, and I think this is a great opportunity to simplify, workspaces and layouts is confusing , it just feels redundant and overkill. I don't feel there is any need to keep both around seeing as workspaces can play all the roles of layouts and more. They are datablocks and can easily be appended and/or cloned then modified with as many differing layouts as desired, so as far as I understood there is nothing that couldn't be achieved with workspaces alone. That would mean working in two windows with the same workspace would not be possible. Maybe screen-layouts should be renamed window-layouts to avoïd confusion. Reference to screen comes a time when multiple windows were not supported. But now, a screen layout is limited to a window. I definitely see the points regarding screen-layouts being redundant, I wouldn't say I disagree completely. I don't fully agree either though, I still think there are good reasons to keep them. In any case, they should be exposed differently than they are now, or not at all even. First off, screen-layouts have a drastically different role in 2.8 than before. They used to be more like UI presets for various tasks, which is what workspaces do now. In 2.8, they should be nothing but mere layouts for areas (areas are the subwindows containing the editors). It shouldn't matter which editors the layout contains. For this, idea was to introduce editor tabs through which users can add multiple editors to an area and switch easily. There shouldn't be a need for layout names. Instead of selecting a layout by name, users should select them visually. Hence we added layout previews. So again, screen-layouts are going to be something different in 2.8. Just mere layouts. That said, of course it's still possible that screen-layouts within workspaces are redundant. Workspaces are a higher level concept than screen-layouts. Users may need different layouts while they work on the same task. E.g. 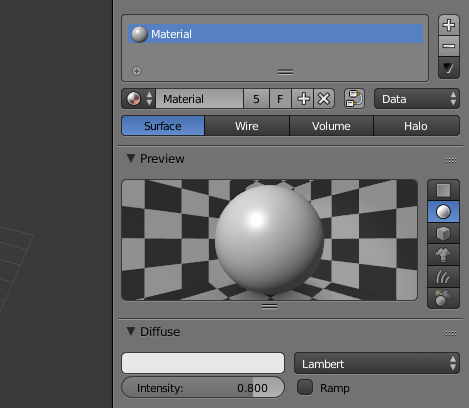 texturing and material editing may need different layouts, while both are part of the "Shading" task. Workspaces should not be abused for layout switching. 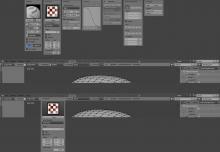 Idea of workspaces is to switch tasks (say from modelling to rigging), not layouts. We could ignore #2 and #3, and just not expose the screen-layouts in the UI. My suggestion would be to keep them exposed for now though, but only show the small button to spawn the menu. Most users probably won't really notice it using this visual trick, but it's still available for those who use it (see Lock to Scene button). The name button should disappear (no layout names! ), the "+" and "x" button should be moved into the popup menu. Let's see how that works out first, and then decide if we want to hide screen-layout buttons. Also note that we'd eventually like to support hiding buttons. Combined with the template system, templates for beginners could just hide the screen-layout buttons. Window-layout sounds more like the alignment of multiple windows :) I don't think that's any less confusing. But really, I think screen-layout is pretty fine, it's a standard name. It's definitely one of the less confusing parts from all of this. Hum I see now, I do have a multi-monitor setup and make heavy use of multiple layouts for each monitor window, hand't though of that. If that is the only use then I agree with Julian, maybe they could just be mostly hidden from the user and handled automagically by Blender in the background. Julian Eisel (Severin) added a subtask: T53139: Top-bar: Open Design Questions. So the current top-bar implementation (see D2758) is far enough to care for some design details. I opened a separate task for currently open questions, T53139. Please help us finding answers on these. Especially agreement from the UI Team is important. Just out of the blue, innocent question here.... Why don´t we have floating constant windows showing all these at a time and then pop-out of the layout? Why don´t we have floating windows with parameters, again? Would love the old 2.49 behavior of having operators pop out a non blocking floating panel with all operator properties by default just like the current F6 panel. I just find it so much more convenient to just have all properties directly right there over the 3D View, without having to change focus to other parts of the UI, or permanently stealing away screen real estate. But it seems devs have different plans. @David (activemotionpictures), we insist on staying on topic in design tasks like this, you'll find plenty of discussion on the floating windows topic with a Google search. There were no operators or operator properties in 2.49, I think you're confusing it with view or transform properties that were in floating panels in 2.49. Hum my memory might have been a little fuzzy on that, but if I recall correctly some operators (like Add>Cylinder) had some form of primitive "on-canvas properties pop up" though not all of them, and and they had no interactive preview. Side note, but related, I think it would be valuable to have a userpref option to toggle between using the "Toolbar" setting or a popup based system by default. But when one is disabled the other can be accessed through F6. For example, I can choose by default to have the operator open a popup by default but after starting the operator I can press F6 which will close the pop-up and open the "Toolbar" settings. This can give more flexibility to artist so they can choose how to use their screen space. What attributes will show the top bar, the tools, or the last action performed? The actions that take the position of the cursor when executed as move, extrude or bevel ... do not allow to comfortably access the toolbar during its execution to modify a parameter. There will be a problem similar to what we now have when the action is launched from the tool panel. The tools are adjusted before or while they are used, while the parameters of the action are adjusted after applying the action. I understand that a temporary modal tool, show its attributes in the toolbar hiding those of the last action, but if the tool is permanent, as the active tools of the latest versions of Blender, I believe that generates conflicts. Are paint and sculpting paintbrushes considered tools or modes? In my opinion they are tools with many attributes, and these atributes should be in the top bar. Having six atributes in the top bar and the rest in the floating menu of advanced options I see it a bit ridiculous for some tools. For this reason in the image below I show the options distributed in panels inside the topbar. What will be shown in the Left Side Panel, once we have the top bar? Actually it shows a mixture of buttons to execute actions, properties of tools and options of tools, depending on the mode and the shelf in which we are. Mode is global or by area? If I have not misunderstood, in version 2.8 the mode will be global, and I can not imagine it without the existence of an active area, since it often works with more than one area on the screen. If a tool is active - tool settings. If an operator (action) was fired - operator settings. That's the design of these operators. You will be able to tweak their settings after applying them. Some might get a tool mode, and as such will be more GUI-button-friendly. See https://developer.blender.org/T53047 for more info. 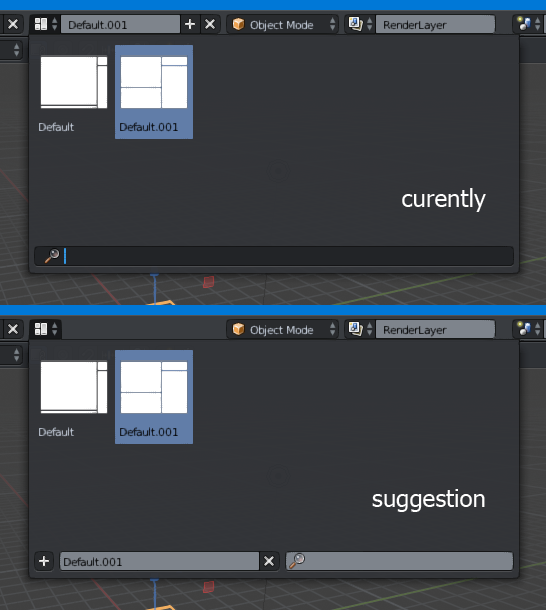 I understand that a temporary modal tool, show its attributes in the toolbar hiding those of the last action, but if the tool is permanent, as the active tools of the latest versions of Blender, I believe that generates conflicts. Can you describe those conflicts? @Julian Eisel (Severin) Your opinion on that? It will generally be the same as now, minus the Last Operator Settings panel, and stuff that would migrate to the topbar if we do something like in your mockup. Mode will be global, yes. It was per-object before as far as I understand it, not per-area, so no active area is needed. Thank you for clarifying some questions Paweł Łyczkowski. For now there are no conflictors because the modal tools are adjusted during their execution by pressing keys, the brushes work using other modes, and the new active tool modes do not request previous adjustments to their use. So you can see the operator settings at any time and temporarily, when you activate a modal tool, you visualize the parameters of the modal tool, and when you accept or cancel the tool changes, you see the operator settings again. The problems can arrive at the moment you want to configure a tool before its application, to be able to adjust the parameters comfortably, without using hotkeys (like the current Blender brushes or the tools of Maya). It will not be possible to see the pre-parameters and the post-parameters from the same bar, unless there is a double bar, or parameters are explicitly called. Currently in Blender these pre-parameters are found in the Header (transformation coordinates, pivot, proportionality, snaps), in the menu bar (AutoMerge editing), and in the Tool Shelf options tab (symmetry, UV preservation) . 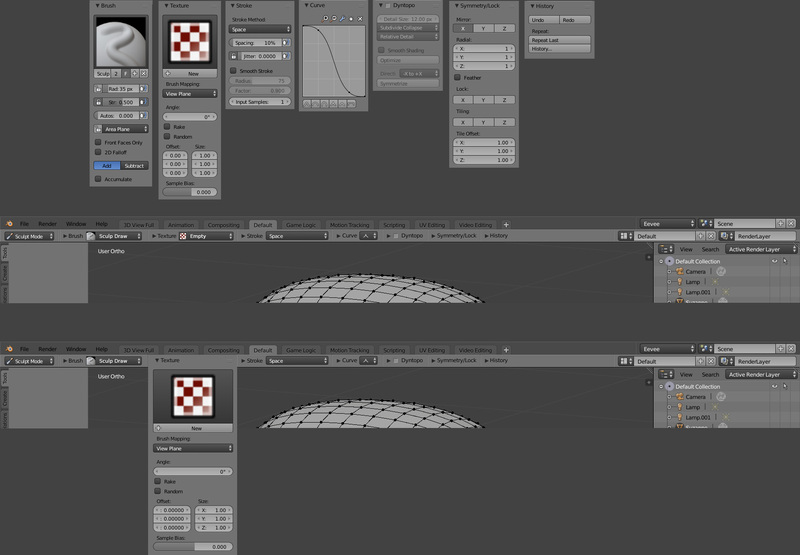 In Maya most of these parameters are within the options of the transformation tool, and are adjusted before use. If the tools are concrete (Ex: Extrude Individual, Circle Select, Merge at Center), and not general as (Ex: Extrude, Select, Merge), and the Header or some other site may contain the options that the tool needs before its execution, I see no problem. If not, I think you would need a button or a keyboard shortcut to swich between the Operator Settings if you want to make some adjustment on the action done, and come back to the tool options again. I hope to explain myself well and be wrong, although everything has a solution. You confuse a tool with an operator. When you activate a tool (via keystroke or GUI button), it's settings appear in the top bar, and you can change them at any point between tool operations (for instance between separate cuts with the Knife tool). Keyboard fired operators will stay shortcut and mouse driven, for quick use, and the top bar will work like the current Last Operator panel in the Toolshelf, for final tweaks after using the operator. There is no plan as far as I know concerning the pivot, proportional editing and snapping changes. So I'd really appreciate if you could leave some quick & honest feedback based on your testing. Sure. Please be aware that I can be biased with feedback, since I helped with the design. First and foremost - the topbar feels quite natural. I was worried that settings changing and flickering in and out in there will be distracting or annoying - this turns out not to be a problem. The whole GUI responds to actions anyway - buttons appear and disappear, windows content change in response to user actions all the time, so the topbar behaves just like the rest of the interface in this regard and does not stand out. Next, the location of the settings promotes their usage much more than the Last Operator panel. I was surprised to find that the settings help even in pretty basic operations. For instance the user can eyeball a translate operation, and then refine the values quickly in the topbar. The 'More' popup is what I called a 'Quick Settings Popup' in the past, meaning it allows to change a couple of settings, and goes away when the cursor leaves it (or I guess when the user clicks outside of it on a touch interface), and it works as well as I hoped. There are some problems, for instance not all operators work well with the topbar out of the box, so additional work has to be done there (Loop Cut And Slide is an example). Many have many settings that are currently displayed needlessly as basic settings. An example would be Proportional Editing settings in transform operations. Some operators may have to be recoded - for instance Extrude is currently coded as two operation: something like Inset with 0 thickness and then Translate - this way we get the Translate settings in the topbar after an Extrude - it could work better as a single operation, where the Extrude Amount is the main setting (might be also friendlier to ctrl-z). A benefit that I didn't predict is that the last operator displayed in the top bar gives a hint on what action the user did last - so it can be checked easily. This helps with stray key presses or clicks, or just when one forgets at what point he is with one's 3d work. The Toolshelf Last Operator panel did not do that as well due to it's obscure location. The one big advantage that I see is that exposing operator settings is a big help with discoverability. Toolshelf Last Operator panel is in a pretty obscure place - the Toolshelf is not always visible, the settings are crammed there, the 3d View where it's located is not always big enough to display it properly or even added to the window at all, and settings from all editors are displayed in that panel, not only the 3d View ones. It's potential to boost discoverability is squandered a lot. One can instantly learn that there are different algorithms that Unwrap can use, that one can change the Margin of islands, and that there are different toggles that do different things. And this works for all such operators. And the main reasons for the topbar mentioned by Brecht still stand - operator settings for all editors go to the Last Operator panel, so it's not really logical for it to be in a Toolshelf in the 3d View. A global top bar cleans this up. BTW, in the new photoshop, they are much more focus on the properties panel, it's much fast and efficient than the setting bar, not need left to right, not need move your mouse from here to here, all in one space, direct and quick setup. So far working with the current UI for a few months now I have some more notes, mainly about the sculpting & paint modes. It's about some information that can be revealed and made accessible by default without taking up too much additional space. Decreasing the width of the size & radius sliders and adding a pressure sensitivity option to each can be a great and simple addition since these can and will be toggled quite often during the day. At some point the Dyntopo tab got an update by adding a checkbox to it's side, always making it clear if it was turned on or off. This is essential for some settings. Add at the very least a checkbox for the texture & texture mask tabs to make it clear if one is used or to turn it off without removing the selected texture. Add an icon to the stroke tab that shows if it's set to dots, anchor, space, etc. Add an icon to the curve tab if a certain preset is active. Maybe even a direct representation of how the custom curve looks like. This one is less essential though but can be a useful addition. Add at the very least an active icon for both symmetry & lock settings if either are active. This could look similar to the object visibility/selectability popup in the 3D view header but could also be more precise and show the color of the axis/axes that are currently used for symmetry and/or locking. There are also these buttons that are too hidden or completely missing. The Automerge button should definitely make a return. When modeling I want to quickly be able to switch this on and off or at least be easily aware if it's active or not. This setting like dyntopo can seriously destroy you models in certain cases with the difference that you usually notice this one too late. 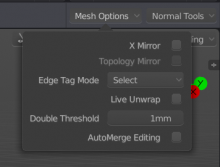 Putting toggles for Automerge Editing and also X-Mirror next to the Mesh Options tab in Edit Mode should be added in my opinion. I hope that viewport render & animation will also be added again since these are not available at the moment anymore. But there are also a couple settings that should not be hidden within a popup sometimes when working but I don't think these can be previewed properly in the top bar. For example the color palettes and weight presets. These should be visible at all times when needed. They could be viewed from the Tool Settings tab in the properties window instead but I'm not a huge fan of that. But that's a different topic. I don't know how much of this was already planned in one form or another but this is at least my feedback on the top bar.